Use the form below to have Coupons emailed directly to your computer. 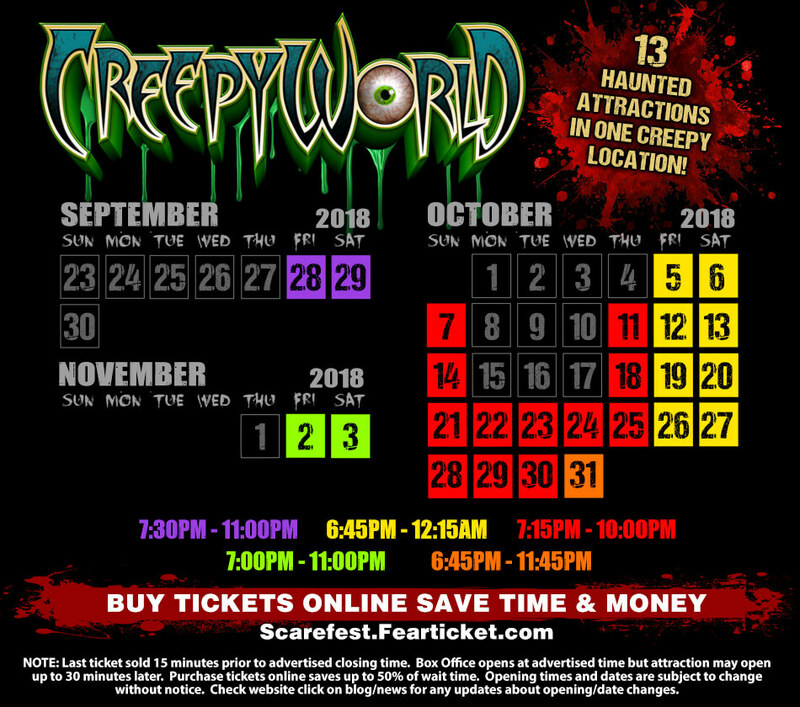 Good for up to $8.00 off Creepyworld, The Darkness and $5.00 off Haunted House. Coupons also provide discount codes to www.StLouisEscape.com Coupons are emailed directly to your email address. You must print the coupon and bring to our ticket booth. You need one coupon per person. You can also pick up special offers at the sponsors locations listed below. If you do not receive a coupon by email check your spam or filter boxes for coupon, then unspam our email. Read all details below. If you do not see the email check your spam or filtered folders. You must have a printer and print one coupon for each person who will attend the attraction. Coupons can not be used in combination with any other offer. If you do not own a printer you may visit our sponsors locations. McDonalds - Goodwill - Army Recruiting Stations - Hotshots Bar and Grill - Look for Dr. Pepper Displays in your local grocery stores. Save $8.00 on Darkness/Hive Combo or Creepyworld/Trick R Treat Hayride and or $5.00 off Lemp Brewery Haunted House any night in September, November or Sunday thru Thursday in October. Not valid with any other offer. Offer expires November 3rd, 2018.